One of the fundamental parts of being writers, I think, is knowing your purpose for writing. Now, I'll admit this is made much easier when your freelancing gigs keep you covered up in short informative articles or web content. That makes it simple. Yet, like any writer, you have this basic sense of purpose informing your choices on how to present those words. The issue is really one of genre. I've haven't actively thought about this in a while other than some idle thoughts about switching over and writing some fiction rather than nonfiction. That's really it. On this fundamental level, all of us, as we prepare to writing something, should consider the purpose of their writing. There are some essential questions that help you determine this if you don't already know intuitively. (This can differ with each writer and also how much experience one has.) What sort of questions? Well, for starters, are you writing for the purposes of entertainment? Or do you want to strictly inform the readers? Then again, you could be writing to persuade the reader of your viewpoint or position. The act of deciding the purpose of whatever it is you're writing has a close relationship to the purposes of reading something. What do I mean by that? Essentially, when you've defined the purpose you influence what types of choices you make about the form you want to use. This is really where genre comes into play. It is a crucial decision since it can affect how the writing is received by your readers. Whether you are writing in the form of a story, a poem, a letter, or an essay, you may already have some clue about the ways these different literary forms are interpreted by the audience - and what ones work together the most effectively with your chosen subject matter. What I've realized is that you may not always get the genre right the first time. You may have written a story when a essay would have been more effective given your topic. Or, perhaps, in your effort to express your feelings simply by stating the facts as you see them or shaping them into a persuasive essay, you missed the pleasure of sharing your feelings in a poem or the lyrics of song. It may be good to look at least six categories or genres that are a part of the writing life. Check them out. I'm offering them in no particular order but I do hope that you do some additional study of them individually. 1. 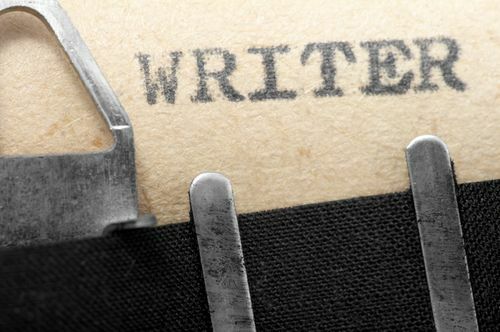 Descriptive writing involves the careful choice of precise language, noting the sensory details and using metaphors and similes to make real, but powerful comparisons. You might be in the realm of essays and certain poetic types here. 2. Expository writing involves the synthesis and collation of information. You point here is to strive for objectivity. Often this genre will manifest as a report or a how-to article. You might also use elements of the expository in an essay or a treatise. 3. Narrative writing is storytelling. This is about creating your own tales, rewriting familiar ones in your own voice, and most of the time you'll start dealing with elements like plots and characterization. This is the realm of the tried and true story arc - the beginning, middle, and end that make up every story created by human beings. 4. Poetry writing is the art of creating word pictures and using stylistic devices like rhyme and rhythm to express strong emotions or ideas. Poems come in all sorts of shapes and sizes. 5. Journals and letters offer a less rigid format for self-expression through words than some of the other genres cited here. Now this doesn't mean that a letter cannot be a full formed essay if you choose to treat it that way. Still, letters - especially when handwritten letters were the rule rather than the exception - could be a very deep and intimate outlet for communicating. Journals and letters alike can be a mode for sharing news, record notes, explore new ideas, among other things. 6. Persuasive writing is all about trying to convince the reader to change their opinions and sway them with logic, moral appeals, and emotional language. You are wanting them to side with you. Effective persuasion in the written form is accomplished through a combination of a clearly expressed position that is supported by various examples and evidences. I've come through this short exposition on genres with the belief that even I should take some time to look over these familiar genres and think through the ideas that I have to determine how they might be best explored. There are so many ways to express yourself as a writer. Now, that you have some fodder for your thoughts and ideas, I recommend you get started right now. Don't hesitate.